This periodic table with charges is a useful way to keep track of the most common oxidation numbers for each element. 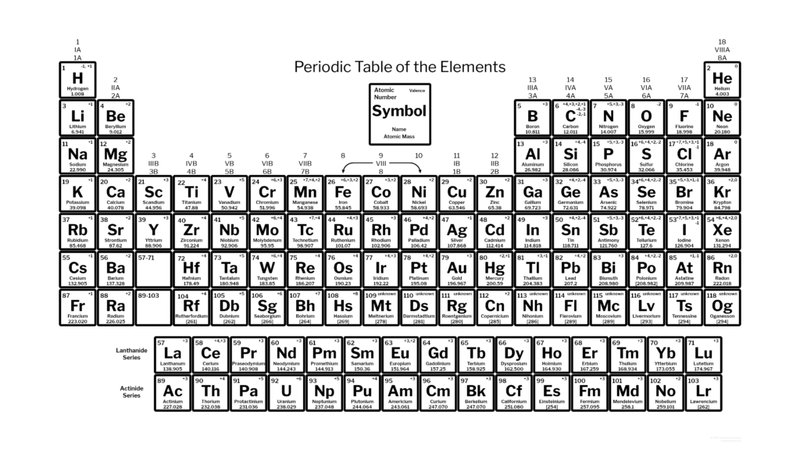 Each element square contains all 118 of elements with the element number, symbol, name, atomic mass, and most common oxidation number. 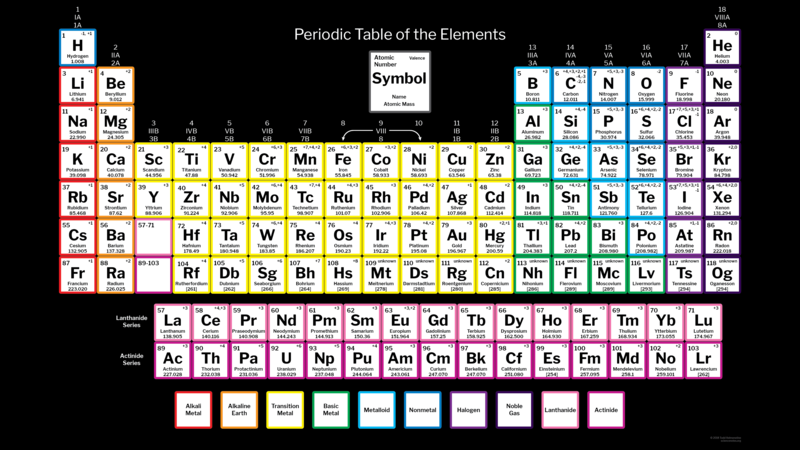 The different colors correspond to the different element groups with a key along the bottom. The image is optimized to function as a widescreen wallpaper with a resolution of 3840 x 2160. It looks great on any widescreen monitor or device. If you’d like to print it, a PDF is available for offline printing. Remember to choose Landscape and ‘Fit’ for your printing options. This periodic table wallpaper is for those of us that prefer a darker wallpaper. 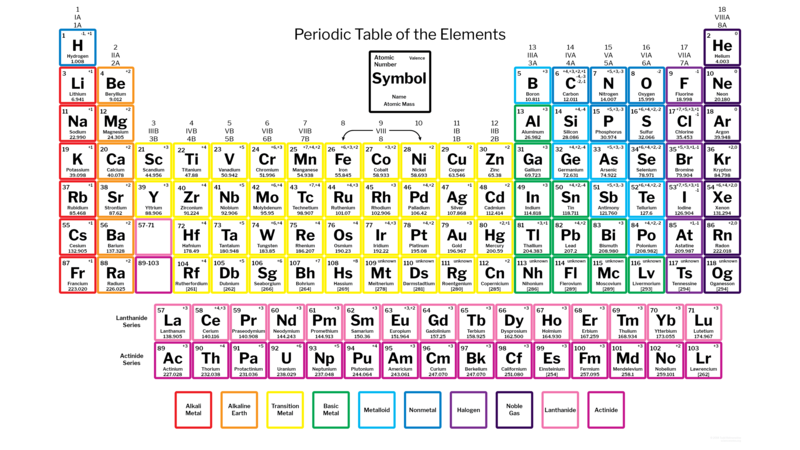 This version of the periodic table with charges is the same table without the color. This table prints up great from the PDF file. As with the color table, choose Landscape and Fit for your print options. Be sure to check out our other periodic table wallpapers.